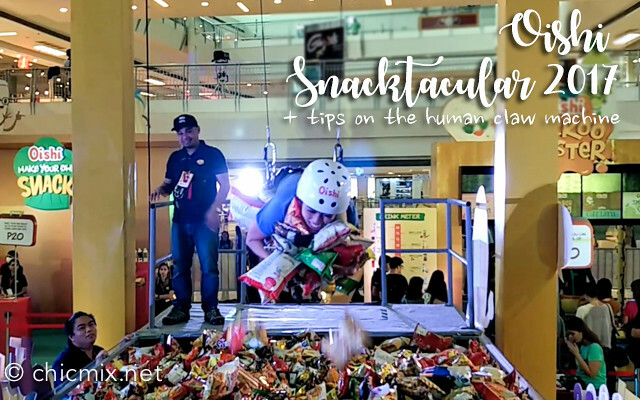 Oishi Snacktacular 2017 | My Experience, What to expect + Hacks on the Human UFO Snack Catcher! 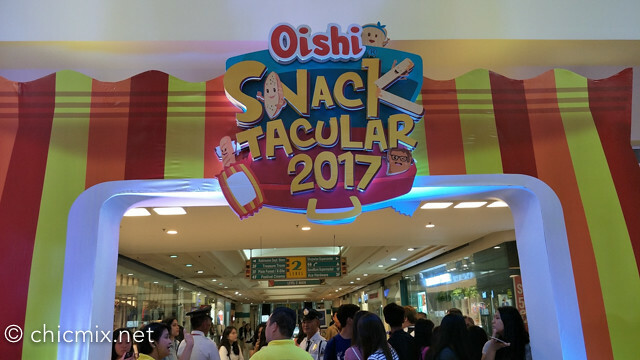 The end of July couldn't have been better- with Oishi Snacktacular 2017 happening at Festival Mall in Alabang! 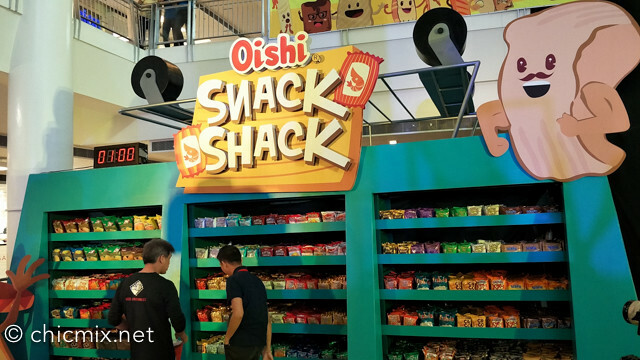 Oishi does this yearly, and 2017 marks the 4th year of said event. 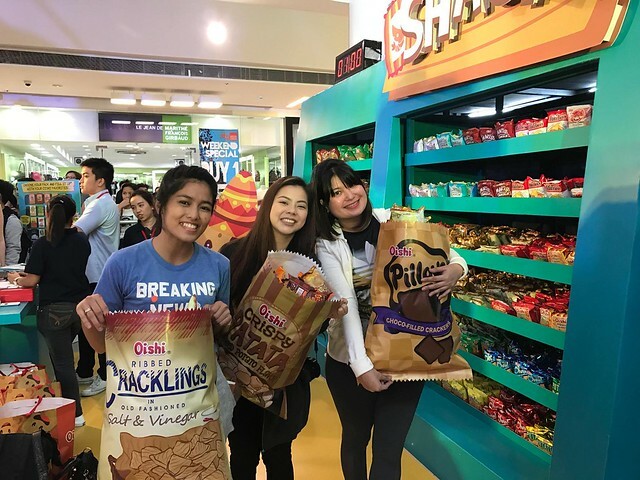 It's fun filled, snack filled (you are sure not to go hungry here!) 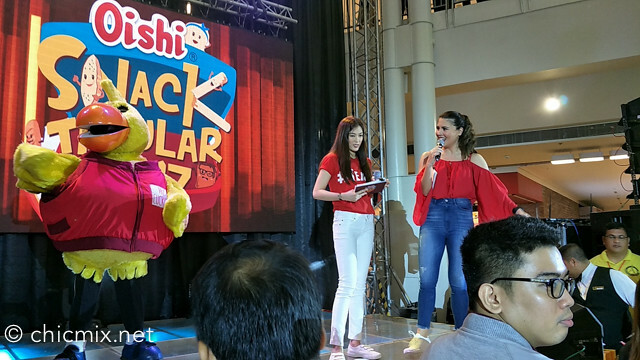 and Oishi Team O members Alex Gonzaga, Maine Mendoza, Daniel Padilla and Kathryn Bernardo showing up for some FUN with the whole crowd! 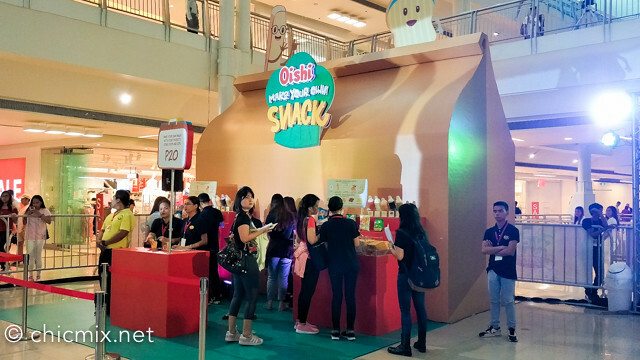 This year, not only the usual fun booths and activities are present, but Oishi also features the Oishi Friends! They're kawaii characters from Oishi's famous webcomic series which you can see online at Oishi's website and facebook page. 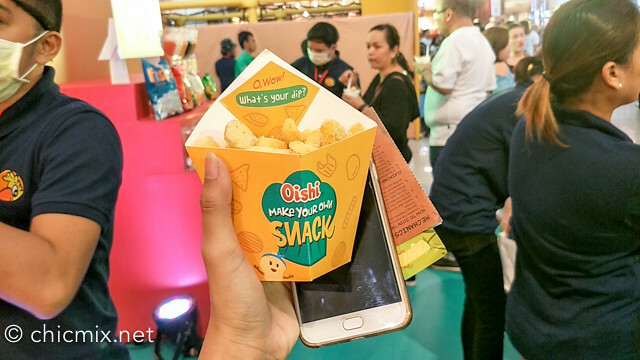 After grabbing my Oishi Snacktacular Passport, I went with the BIGGEST and known to be the star attraction of Oishi Snacktacular first, the Oishi Snack catcher! You can try this out for 200Php! Keep calm. You're in safe hands-- err I mean ropes, and just enjoy. Don't freak out! Utilize all your joints. When you dive in the snack catcher basin, extend your arms out, and and try to get as much as possible. Also, before they hoist you up, bend your whole body into a c shape so that all that space between your abs is filled up with goodies too. You should also immerse your legs and make sure to bend them as well so that there are treats in between the knees. 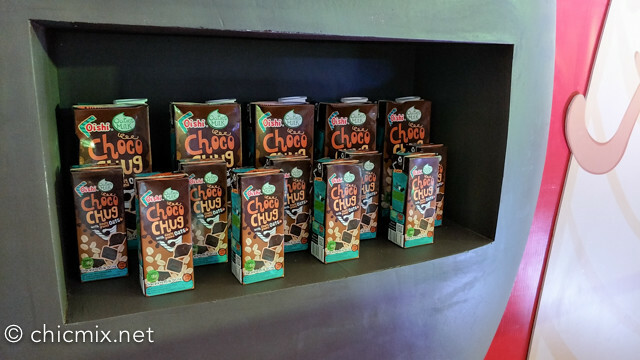 I went for the big Potato Chips, a WHOLE LOT of Cracklings, and lotsa Choco Plunge plus Pillows for the kids. :D The bare essentials. All in all, I got to bag 3 BIG ones and the day is not yet over! From what I heard, this is the first time that they set it to a 2 player! 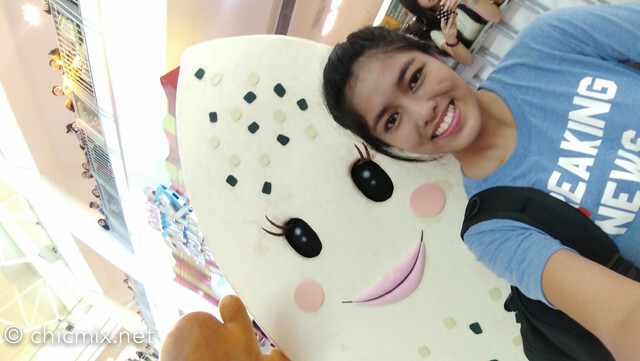 Play this game and win not just Oishi treats but a new friend as well! 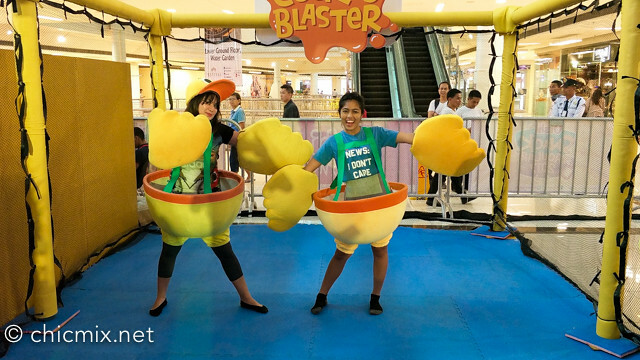 :D You can try this game out for 120 Php, and for this one you'll be wearing a cute chicken suit, which you will use to catch all the ping pong eggs that they will blast at you, using the costume! 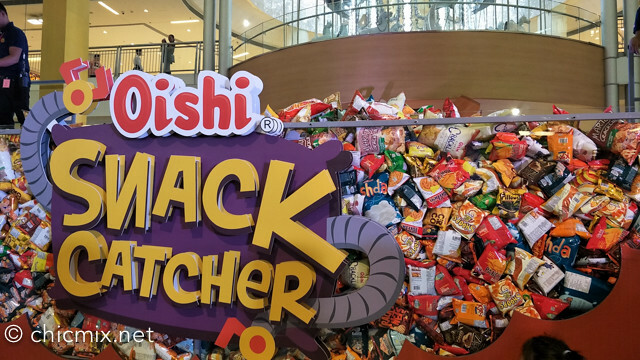 :D depending on how many you can catch, you'll be able to bag a few (or A LOT) of yummy Oishi drinks! After all that fun, I was definitely tired and hungry, and I went to the Make Your Own Snack shack. 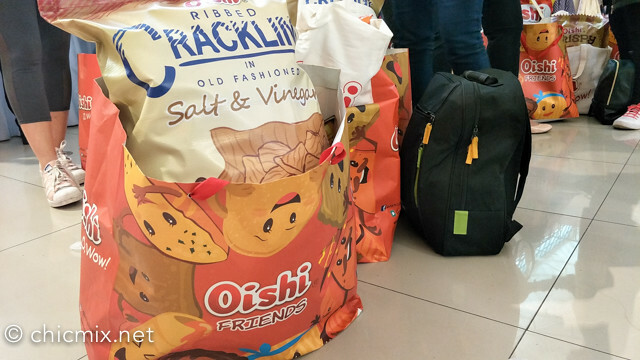 For only 20 Php, you can get 2 different flavors of oishi chips and snacks, plus a dip of your choice. 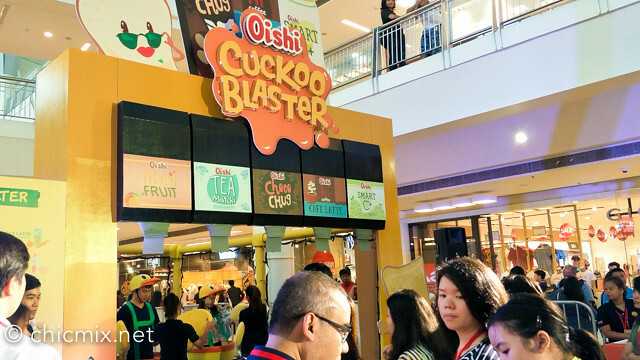 And if you're looking for some dessert, you can try the O-Twirl where Oishi will serve your favorite Choco Chug or Tea Matchi Matcha as soft serve Ice Cream! 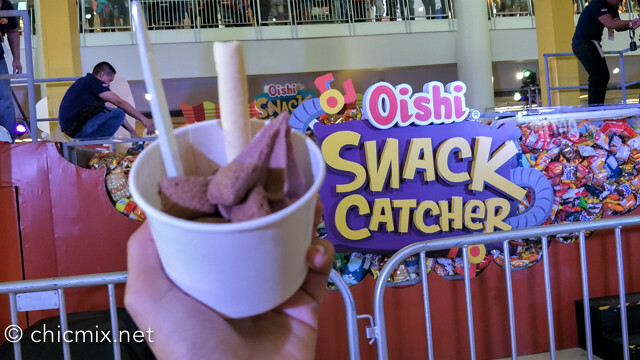 There's also a topping station where you can choose 2 Oishi snacks to add onto the ice cream. This is also for 20 Php. 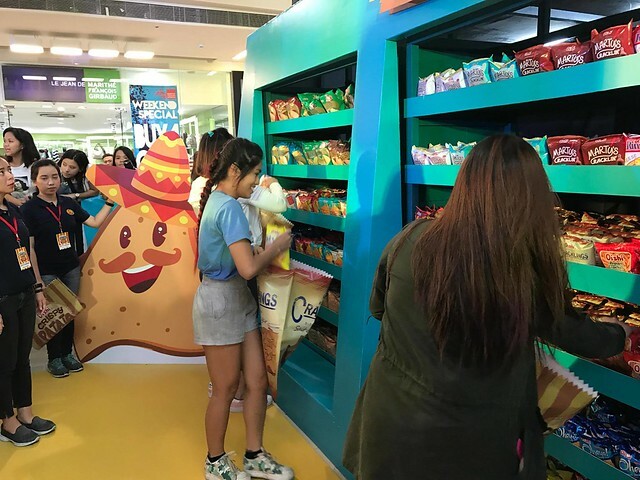 With Panya, inspired by the Oishi Bread Pan.. She and her friends Hippy(by Oishi Prawn Crackers), Pilyo(by Pillows) and Waifu (by Oishi Wafu Cheese) are seen to be roaming aroundthe event grounds! 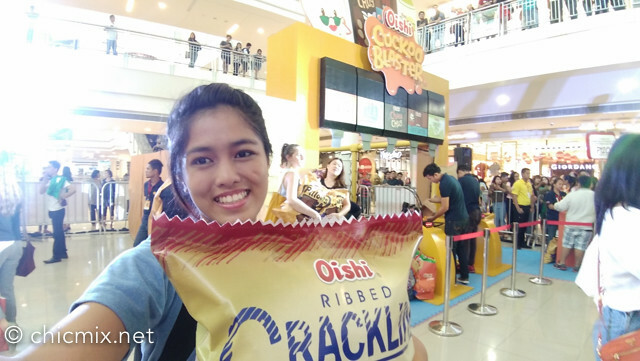 Don't forget to have your Oishi Passport stamped so that you'll be able to redeem a free Oishi Shirt! Others also got a chance to bring home a limited edition Oishi Friends Plushie + Gift Certificates. 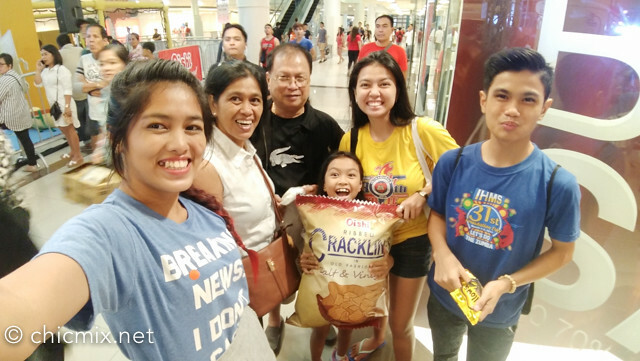 The Oishi Snacktacular is best enjoyed with your whole family and friends! I know my own family had LOTS of fun! Check out Oishi on Facebook!